Food enthusiasts on your marks ! The Food Tour concept, a guided tour with tastings, has now landed in Montpellier. Local products and producers are in the spotlight. Take a stroll and discover a city, pop into food shops and let your taste buds do the rest: the food tour concept is booming at the moment, and not only in France. Both foreign and local tourists are keen to (re)discover a city and experience something more authentic and lively. Indeed, above and beyond the tastings, the main interest is to create an exchange with the locals from the merchant and local producer to the restaurant owner. Around Montpellier and the Occitanie region, various themed tours are available through the tourist office or privately. They offer history, science, arts, wine tours and a few gourmet tours. Their aim is to showcase prestigious products – the signature of French gastronomy. 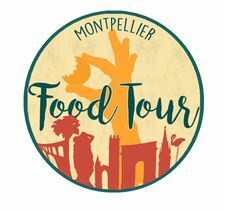 With another perspective, Marine Dromard, creator of Montpellier Food Tour, chose to showcase local products, local producers and local food artisans. She really wants to promote the quality of regional products and the talented locals who make them. As a tasty starter she offers two tours: one historic city center tour and one local market tour, both in the heart of Montpellier. She insists on keeping small groups of maximum 6 so as to build a real dialogue with the producers. « The objective is for FoodTourists to understand better what they eat, and why our eating habits really do matter: when you buy food, you buy the world that comes with it! ». Today that world is one full of relish. Find more about the Montpellier Food Tour on the website, on Facebook and on Instagram.